Become Emotionally Invested Without Understanding A Single Word. Bothers: A Tale of Two Sons is a rather unique adventure game that hit the Xbox Live market place on August 8th 2013 as the first title in Microsoft’s Summer of Arcade. 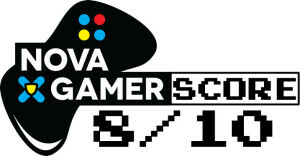 It will also release on Steam on August 28th, and the PlayStation Network on September 3rd. 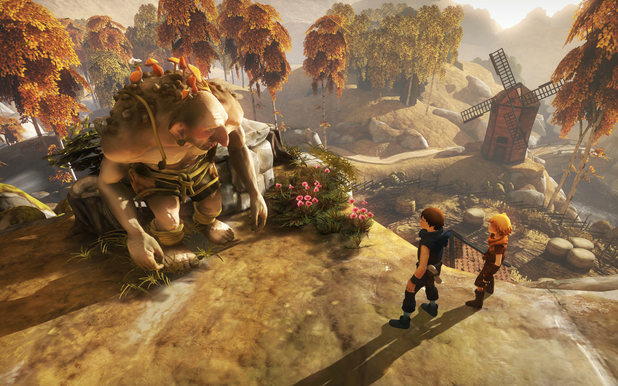 Developed by Starbreeze Studios, a Swedish studio, Bothers: A Tale of Two Sons manages to tell a simple yet connecting story without any dialog. Instead the story is told through the characters actions and the very impressive, albeit sometimes annoying, soundtrack. You quickly learn that the control scheme for controlling the two brothers is probably like nothing you have ever experienced. 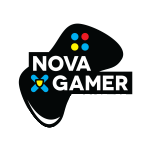 You control each bothers movement separately each with one analog stick. The respective triggers are also an action button for each brother. It’s like playing a 2 player Lego game but you’re controlling both players with the same controller. (Yes, that is seriously the best description I could come up with.) For the most part it worked pretty great, although when the guy I was controlling with the right stick was to the left of the guy I was controlling with the left stick, it sometimes played havoc with my brain. Damn my Lysdexia! Brothers: A Tale of Two Sons starts with the two brothers (your characters) carrying their fatally ill father in a cart to a nearby doctor. The worried doctor quickly sends the boys on a quest to bring back a “healing liquid from a sacred tree.” The journey to this tree will take the brothers through the neighboring mountains. As you travel farther away from home you begin to feel like Alice tumbling down the rabbit hole as the world around you continues to become ever stranger and foreign. Everyone in the game babbles nonsense when they speak and you will rely on their tone of voice and animations to understand what they are talking about. While successfully telling a story without using English dialog is impressive, I felt that with some great voice acting the game could have gotten players even more emotionally invested with its characters. 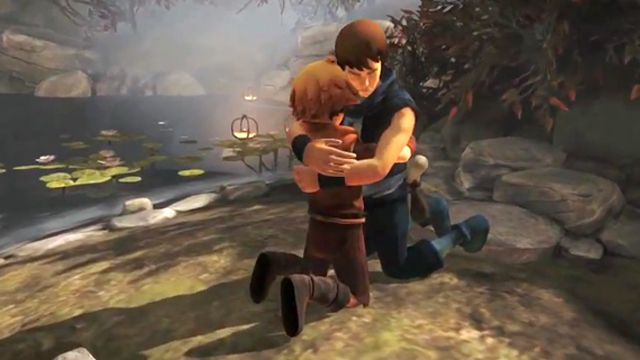 Brothers: A Tale of Two Sons is a short adventure game with a total play through lasting only about 4 hours. However, this does not hurt the story as I was very invested in the characters and their journey. In fact dragging the game out to 6 or 8 hours may have taken away from the emotional connection the developer was going for. After all, your father is back home dying, you don’t have time to go do side quests! It was refreshing to play a game where the protagonists had an extremely important task and they treated it so. That makes the situation more believable and helps the player invest more so in the Brothers. 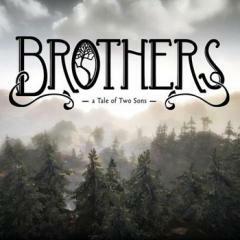 Anyone looking for a short and sweet adventure game should pick up Brothers: A Tale of Two Sons on Xbox Live, Steam, or the PlayStation Network.